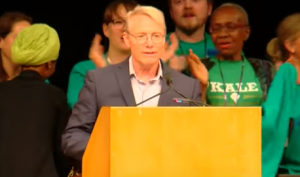 State Representative and Minneapolis mayoral candidate Raymond Dehn is calling for major policing changes, proposing to take away guns from the majority of officers. He recently won the support of voters at the Democratic Farmer Labor convention and now his call to disarm police of their side guns is garnering major attention. “I’m not saying they don’t have access to that, just like they have access to more lethal weapons in their cars, I would believe they would still have access to their guns in their cars,” said Dehn. Dehn says there needs to be drastic changes in how officers are trained. He would be open to officers using other means to protect themselves like a night stick or pepper spray. “I think as we look at how to change policing and how we get officers to not react to use their gun in situations, but learning skills around de-escalation training I think are important,” he said.